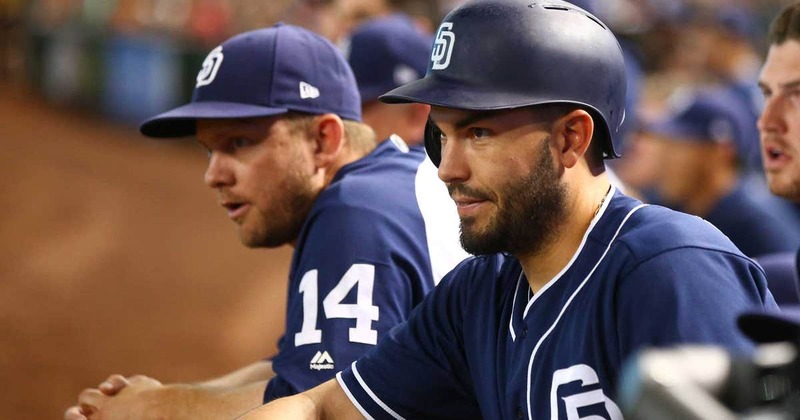 SAN DIEGO – The San Diego Padres today announced the members of Manager Andy Green’s coaching staff for the 2019 campaign. Joining the Major League club will be Rod Barajas as bench coach and Damion Easley, who will primarily work with infielders and serve as assistant hitting coach. Johnny Washington, the Padres’ assistant hitting coach last season, will serve as hitting coach in 2019. Returning to the staff will be pitching coach Darren Balsley, bullpen coach Doug Bochtler, third base coach Glenn Hoffman and first base coach Skip Schumaker. Barajas, 43, enters his sixth season in the Padres organization and his first as bench coach for the Major League club. The 2018 season marked his third as manager of Triple-A El Paso, and he led the Chihuahuas to their third consecutive Pacific Coast League division title (fourth straight overall) and a franchise-best 82-57 record. Prior to taking the helm of El Paso, Barajas spent the 2015 season as hitting coach for Single-A Lake Elsinore before taking over as manager of Double-A San Antonio that June. He began the 2014 campaign as manager of the organization’s Rookie-Level affiliate in Peoria, Ariz. and finished the season with Lake Elsinore as hitting coach. Barajas joined the Padres organization after a 17-year playing career, including parts of 14 Major League seasons with the Arizona Diamondbacks (1999-2003), Texas Rangers (2004-06), Philadelphia Phillies (2007), Toronto Blue Jays (2008-09), New York Mets (2010), Los Angeles Dodgers (2010-11) and Pittsburgh Pirates (2012). The former catcher hit .235 (812-for-3460) with 187 doubles, one triple, 136 HR, 480 RBI and 396 runs scored in 1,114 career games. Originally signed by Arizona as a minor league free agent in 1996, he made his big league debut for the Diamondbacks in 1999 and was a member of the 2001 World Series Championship team. A native of Ontario, Calif., Barajas played for Team Mexico in the 2009 World Baseball Classic, and while with Toronto, was honored as the Blue Jays’ nominee for the 2009 Heart and Hustle Award. Easley, 48, enters his eighth season with the Padres organization and his first as a coach at the Major League level. He spent his previous seven seasons with the Padres in Peoria, Ariz., holding the title of rehab hitting coach since 2015. The former All-Star infielder hit .253 (1386-for-5484) over parts of 17 Major League seasons, compiling 287 doubles, 27 triples, 163 home runs, 684 RBI, 735 runs scored and 88 stolen bases in 402 career games between the California Angels (1992-96), Detroit Tigers (1996-2002), Tampa Bay Devil Rays (2003), Florida Marlins (2004-05), Arizona Diamondbacks (2006) and New York Mets (2007-08). Easley was originally selected in the 30th round by the Angels in the 1988 First-Year Player Draft. Born in New York, NY, he graduated from Lakewood (CA) High School in 1987 and played baseball at Long Beach (CA) City College from 1987-88. Easley was named to the All-South Coast Community College Conference and All-Southern California first teams, and he was also his club’s Most Valuable Player and a second-team All-State selection. Schumaker, 38, returns for his second season on the Major League coaching staff as first base coach, and he enters his fourth year with the Padres organization. He previously served as an assistant to baseball operations and player development after joining San Diego’s front office in 2016. The former outfielder and second baseman played 11 Major League seasons with the St. Louis Cardinals (2005-12), Los Angeles Dodgers (2013) and Cincinnati Reds (2014-15). A two-time World Series Champion with the Cardinals (2006, 2011), Schumaker hit a combined .278 (905-for-3252) with 169 doubles, 13 triples, 28 home runs, 284 RBI and 416 runs scored in 1,149 career games.